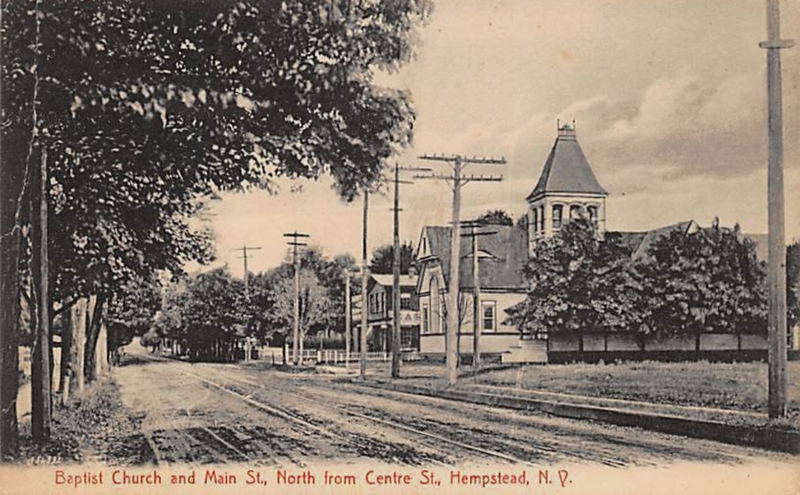 HEMPSTEAD BRANCH - LATER MINEOLA - TO A TERMINAL ON MAIN STREET. 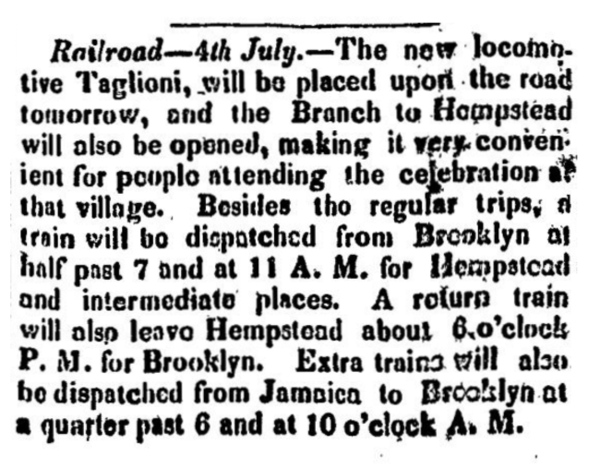 THE FIRST TRAIN WAS PULLED BY THE NEW LOCOMOTIVE "TAGLIONI". 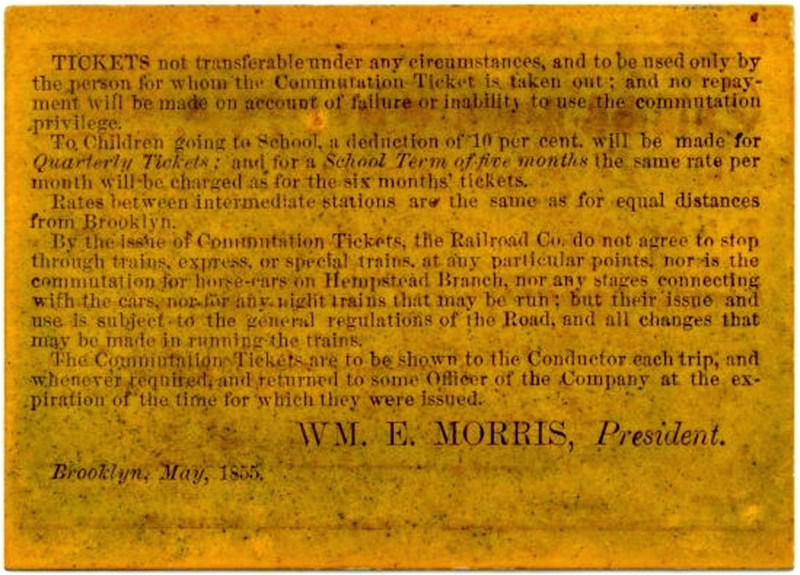 OF STEPHENSON'S PLANET TYPE LOCOMOTIVE, A 2-2-0. 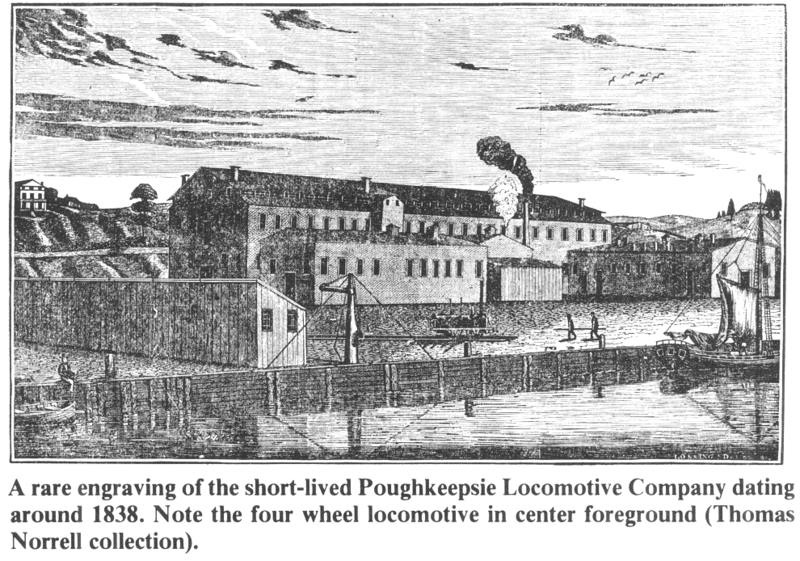 BY POUGHKEEPSIE LOCOMOTIVE ENGINE COMPANY. 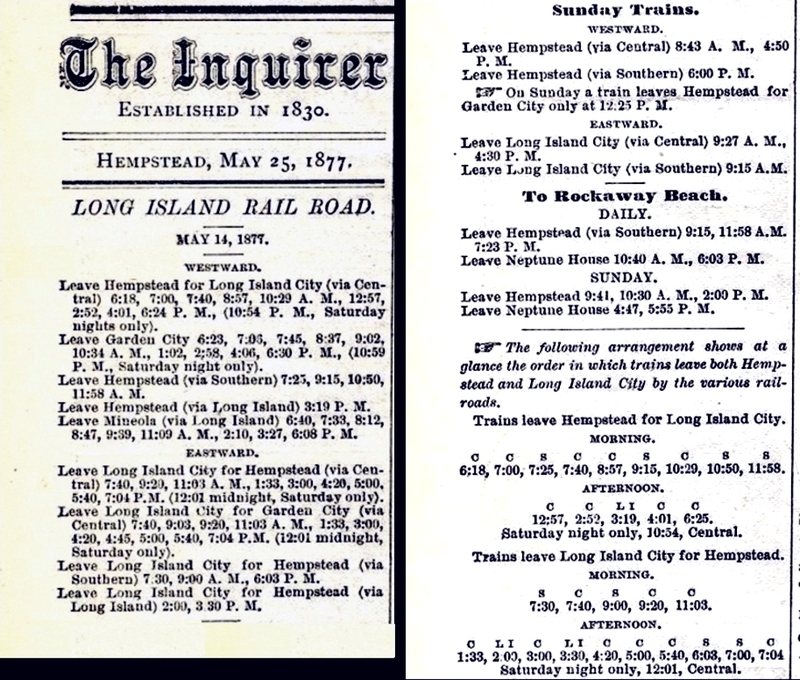 FROM NEW YORK TIMES AND COMMERCIAL INTELLIGENCER, APRIL 4 1839. 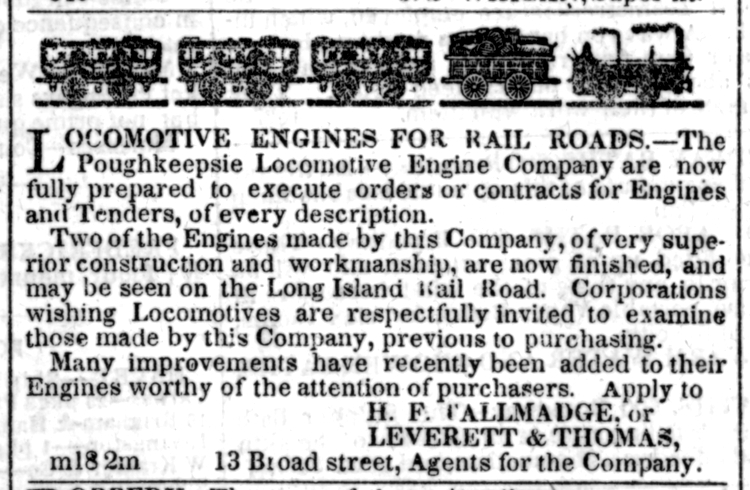 LOCOMOTIVE BUILDERS. HE USES "TAGLIONE". Comtesse Gilbert de Voisins (23 April 1804 – 22 April 1884) who was a Swedish ballet dancer of the Romantic ballet era, a central figure in the history of European dance. She was one of the most celebrated ballerinas of the romantic ballet, which was cultivated primarily at Her Majesty's Theatre in London, and at the Théâtre de l'Académie Royale de Musique of the Paris Opera Ballet. She is credited with (though not confirmed) being the first ballerina to truly dance en pointe. 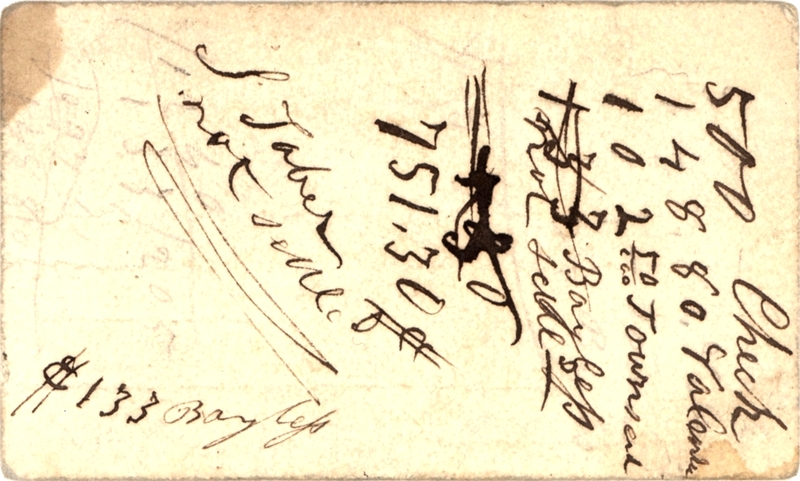 Paul Taglioni was born in Vienna in 1808 and died in Berlin in 1884. He was the son of Filippo, brother of Marie, and father of Marie the younger. 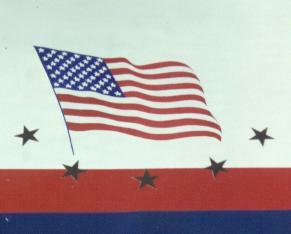 He was trained in Paris by his father and Coulon. 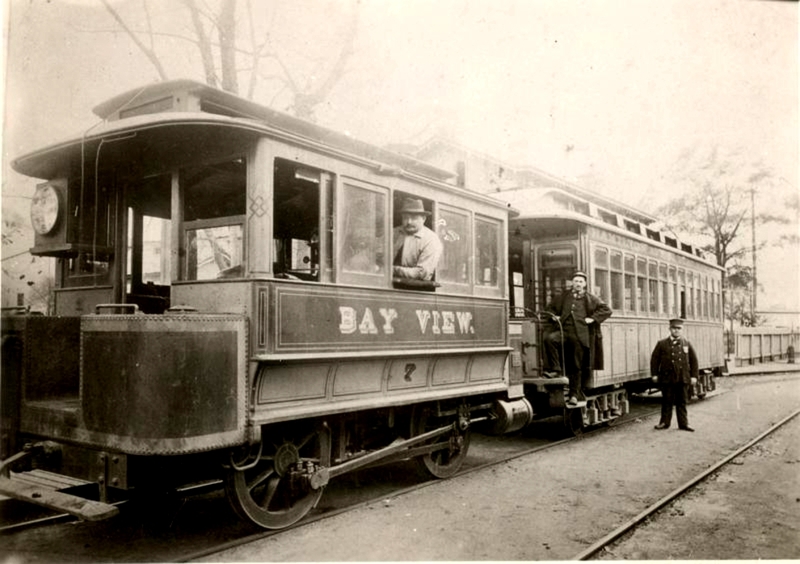 His other daughter, Augusta, became a famous actress in Berlin. 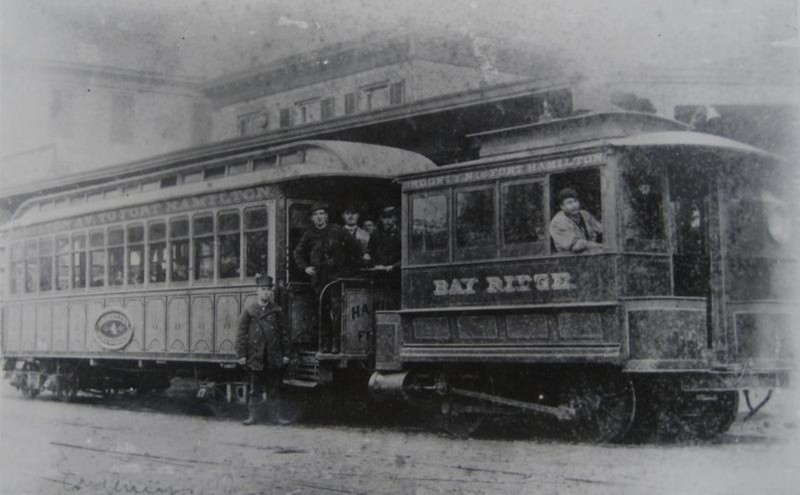 Paul made his debut with his sister, and remained her partner for many years. He married ballerina Anna Galster in Berlin. 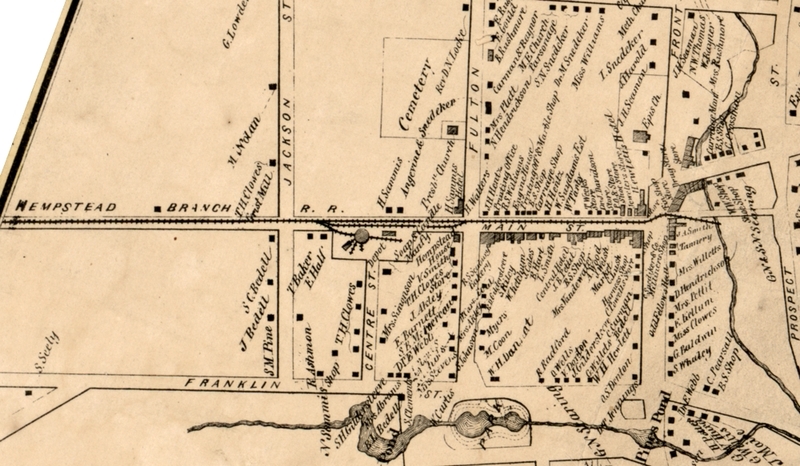 Anna and Paul toured America in 1839. 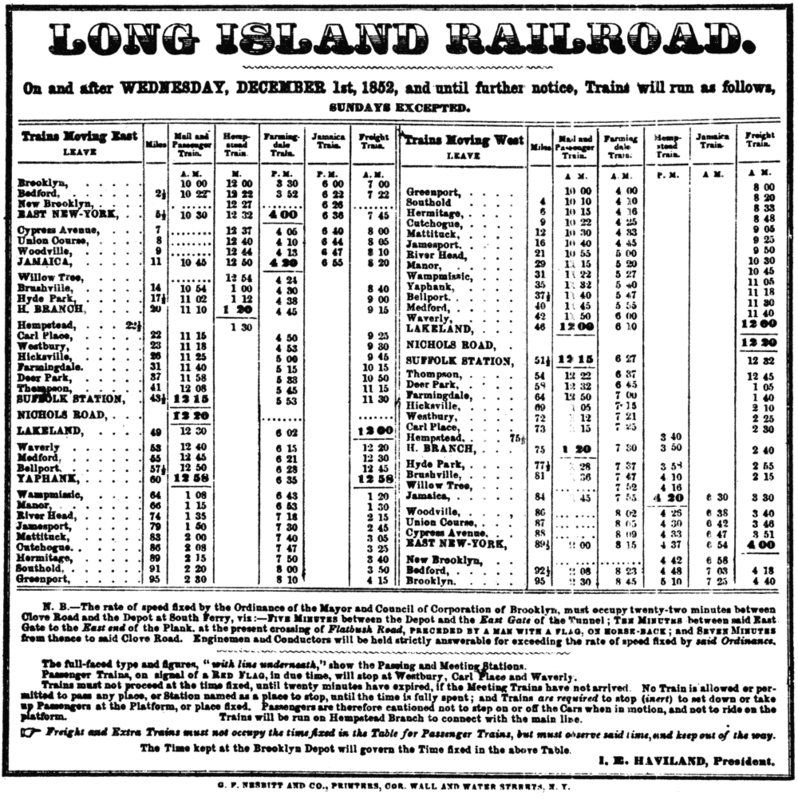 IN 1841 THE TAGLIONI WAS RENAMED THE "JOHN A. 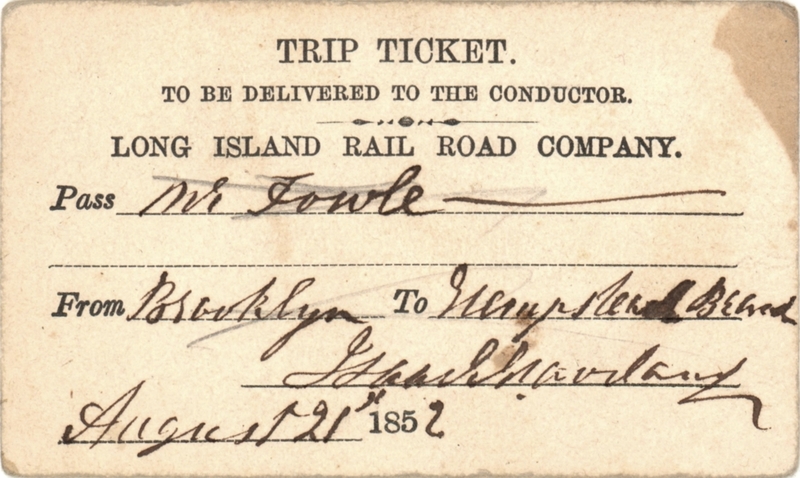 KING"
WITH THROUGH TRAINS AT MINEOLA. 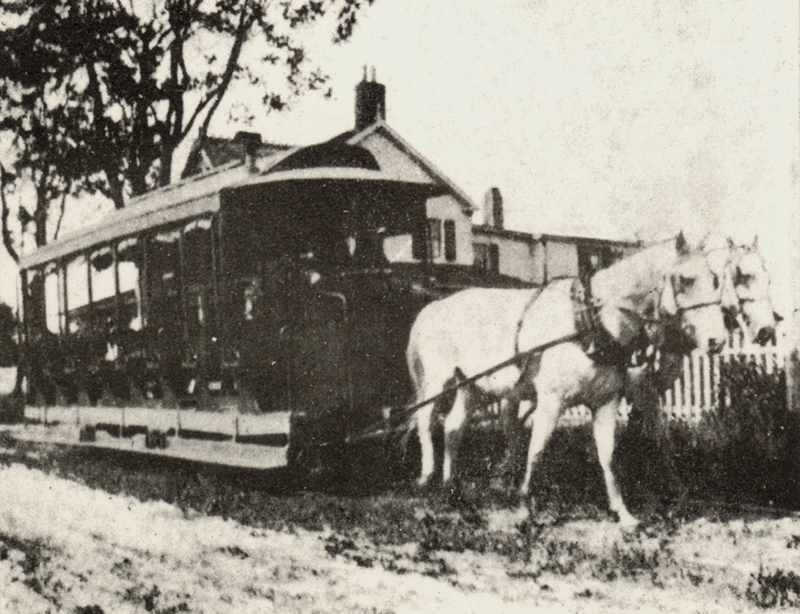 THIS IS A TWO HORSE CAR ON ANOTHER RAILROAD. 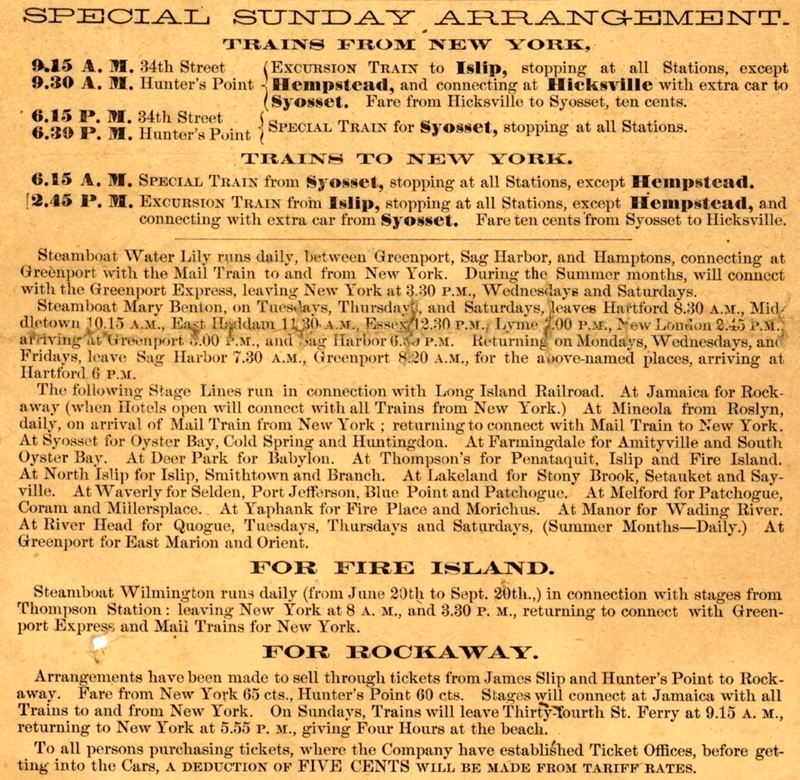 TWO ROUND TRIPS BETWEEN BROOKLYN AND HEMPSTEAD DAILY EXCEPT SUNDAYS. 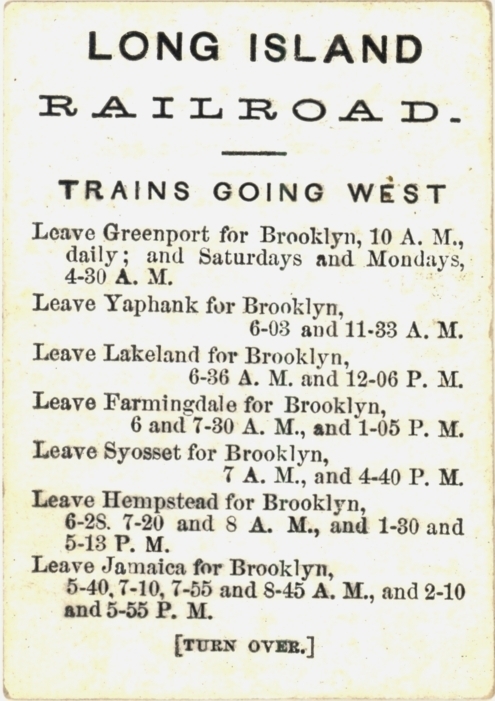 IN OCTOBER 1852 THERE WERE TWO ROUND TRIPS BETWEEN BROOKLYN AND HEMPSTEAD DAILY EXCEPT SUNDAYS. 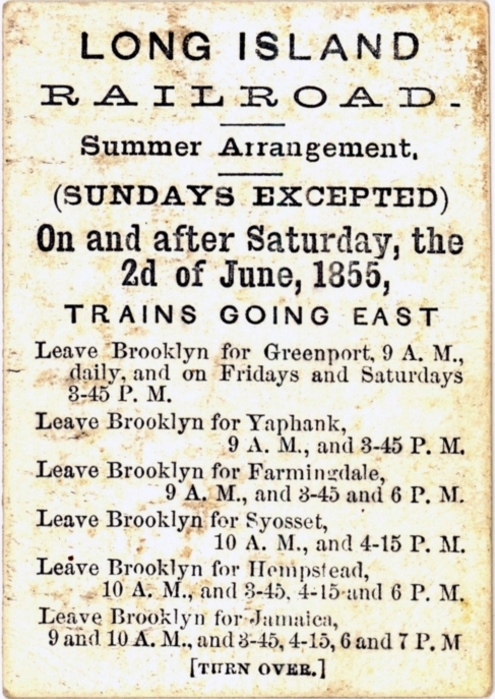 BY DECEMBER 1852 THERE WAS ONE ROUND TRIP BETWEEN BROOKLYN AND HEMPSTEAD DAILY EXCEPT SUNDAYS. 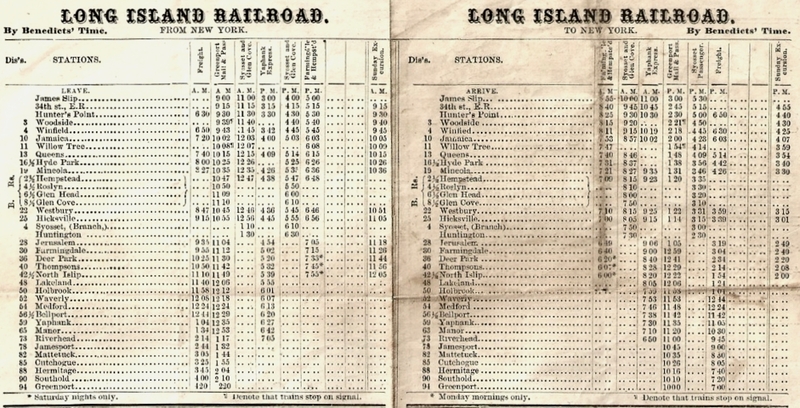 AND OTHER TRAINS CONNECTED WITH THE HORSE CAR. 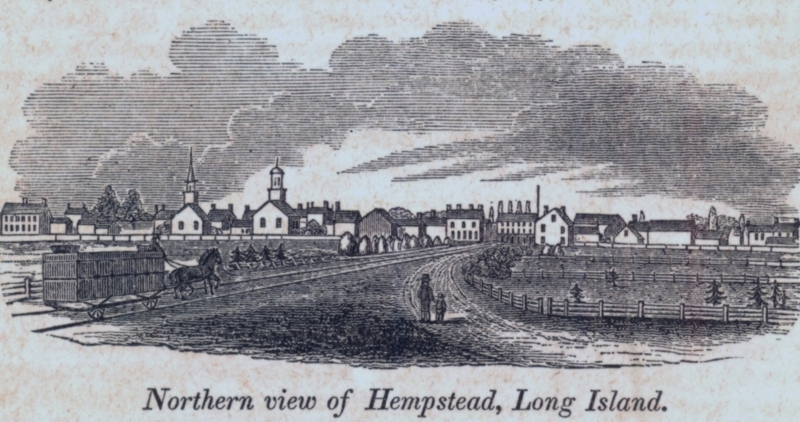 AT LEAST SOME HEMPSTEAD SERVICE WAS STILL PROVIDED BY HORSECAR. 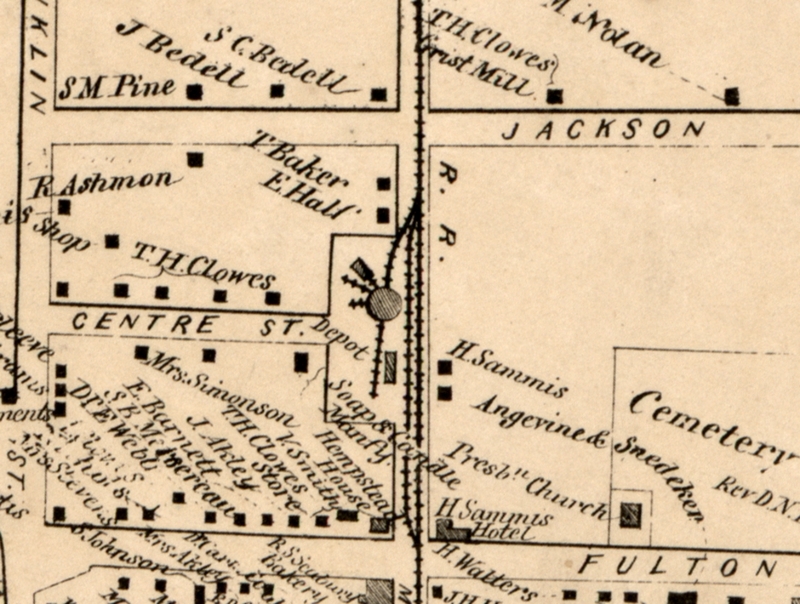 AN 1859 MAP FROM THE NEW YORK PUBLIC LIBRARY WEBSITE. 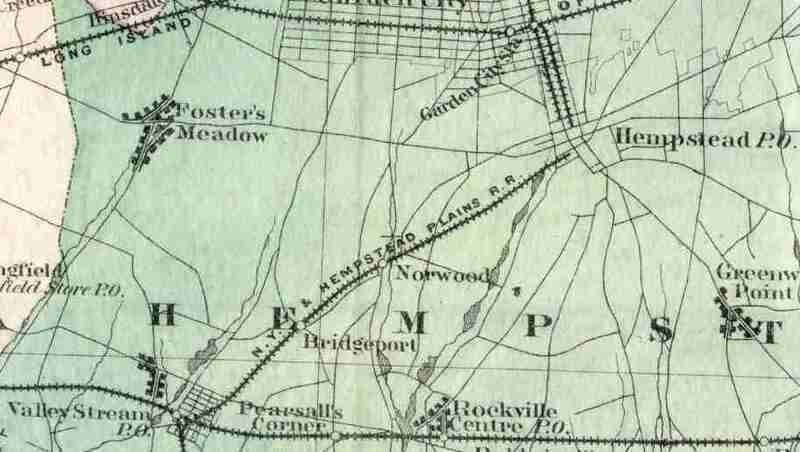 THE TRACK RAN SOUTH OF FRONT STREET. 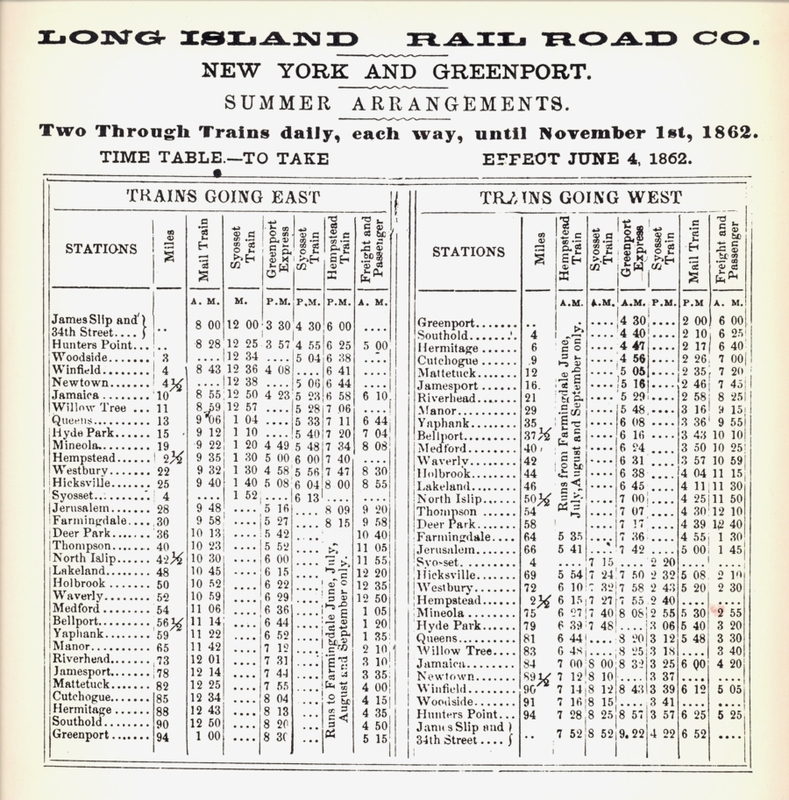 FIFTY YEARS LATER - TRACK IS N. Y. 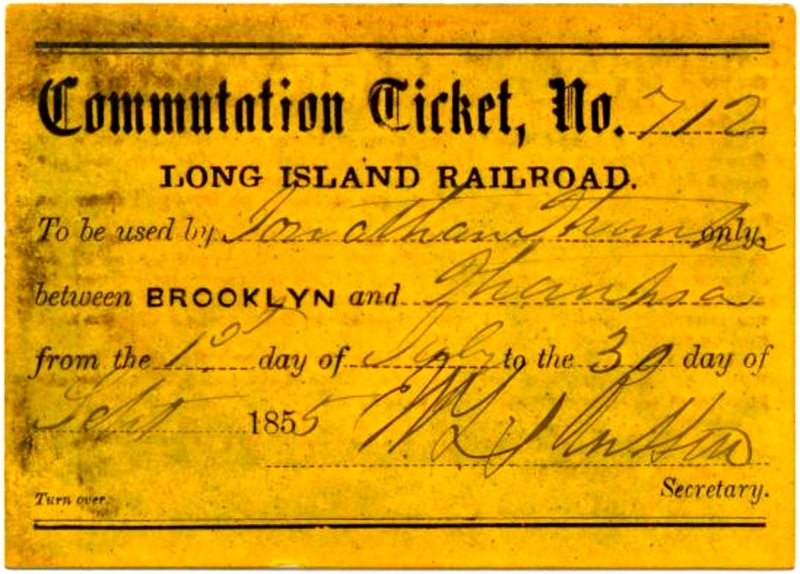 & L. I. TRACTION COMPANY. 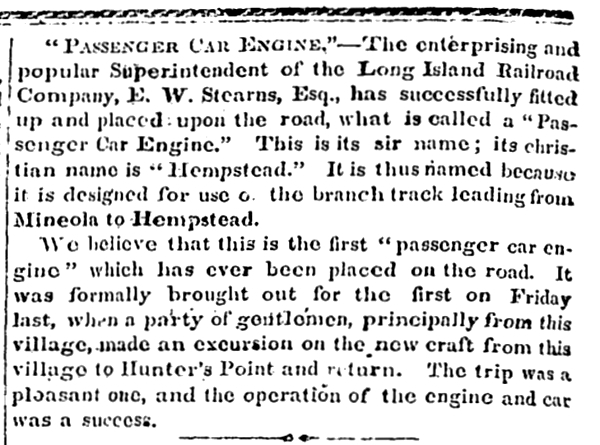 IN OCTOBER 1862 AN 0-4-0 STEAM DUMMY "HEMPSTEAD", BUILT BY TAUNTON, REPLACED THE HORSECAR. 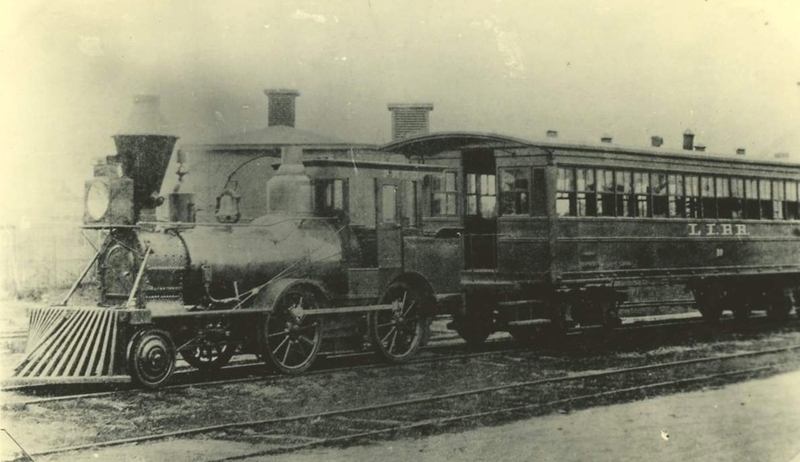 LATER THE SHUTTLE HAD THIS ANTIQUE TANK LOCOMOTIVE "FRED" AND AN ANCIENT COACH NUMBER TEN. 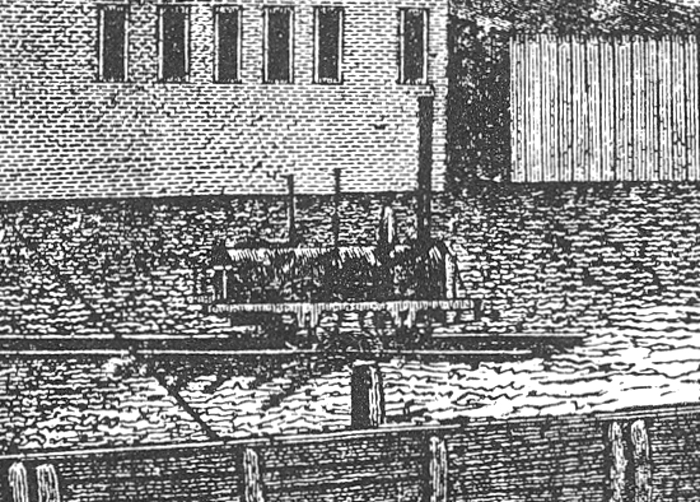 IN 1864 "FRED" WAS CREATED FROM AN 1862 HINCKLEY DUMMY ENGINE "QUINCEY". 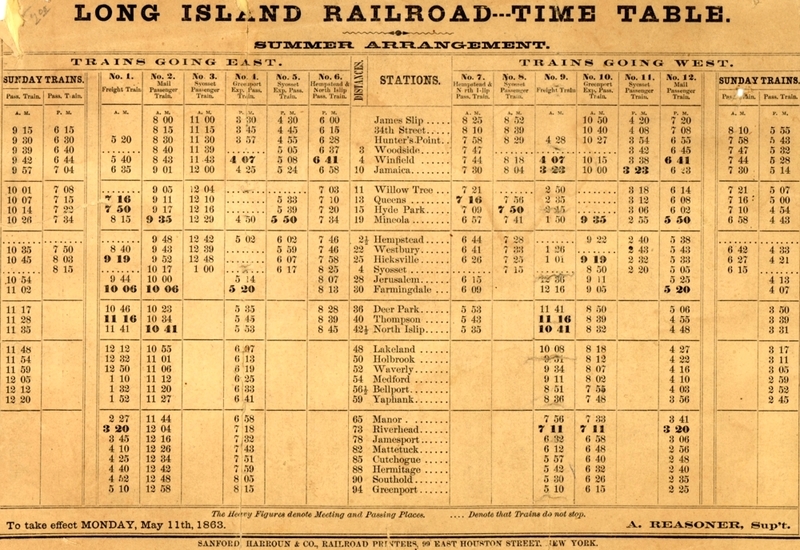 THIS MAY 14, 1877 TIME TABLE FROM THE HEMPSTEAD INQUIRER SHOWS SERVICE ON THE THREE LINES.